Our work is accomplished through partnerships and we are very grateful for the time, expertise and committed passion of the growing community of financial literacy practitioners across Canada. The Canadian Centre for Financial Literacy (CCFL) is looking toward an exciting range of projects and activities in 2012/2013 to broaden and build our networks and we encourage you to forward this newsletter to others who are interested in financial literacy. Bookmark our website and check it often as new resources and tools to support financial literacy practitioners will be shared over the fall. Like us on Facebook, share links, ask questions and connect to other financial literacy practitioners across Canada. November is Financial Literacy Month (FLM) and an opportunity to build awareness of the importance of financial literacy. There are lots of ways community organizations can get involved in FLM 2012 including joining the conversation on social media, writing a newsletter article on a money matter or hosting an event. The Financial Consumer Agency of Canada is supporting FLM by launching a website to promote FLM events, programs, tools and activities across the country. FCAC is inviting organizations to profile event(s) or activity(ies) scheduled to take place during FLM 2012 on their national calendar of events. To register an event go to https://fcac.myreviewroom.com/ and click on “Sign Up”. As part of Financial Literacy Month in November 2011, the CCFL co-hosted a series of six Conversations with Communities across the country. Our goal was to learn more about the challenges, interventions, and innovations in financial literacy occurring across Canada, while encouraging the development of regional networks of practitioners and funders. The summary report of the conversations is now available on the CCFL website. It draws attention to common ideas and points of divergence and synthesizes some of the cross-cutting themes that underpin much of the financial literacy work currently underway in community organizations across Canada. The CCFL would like to thank the participants in each community who shared their aspirations, knowledge and time with us. Our particular thanks go to the host organizations that helped us to organize Conversations with Communities – your support and assistance were critical and deeply appreciated. A list of the participating organizations is included in the report. The CCFL is thrilled to welcome back Melissa Nigrini to the team. 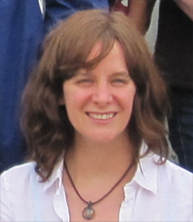 Melissa returned in February as a new mother and in a new role as Research and Evaluation Coordinator. In addition to her experience as a CCFL Trainer and Coordinator, Melissa has worked internationally in Peru, Taiwan and Japan and locally in organizational development, intercultural effectiveness and cultural adaptation, arts-based participatory research, youth leadership and training, and second-language acquisition. She has an M.Ed in Adult Education and Community Development specializing in Comparative, International and Development Education. Melissa can be reached at mnigrini@theccfl.ca. Since the CCFL was launched in 2009 there has been an explosion of exciting and innovative financial literacy programs and services being offered in community organizations across the country. 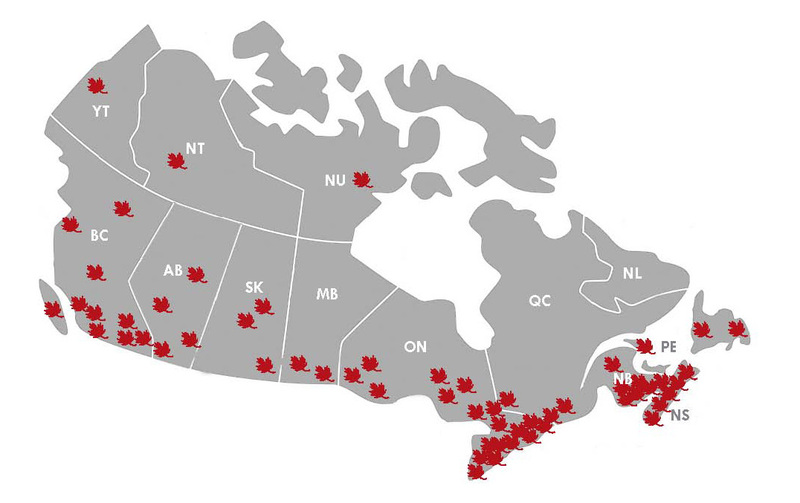 Scheduled for a fall 2012 launch, the CCFL is creating an online map of the programs, services and collaborative partnerships focused on financial literacy for low-income and vulnerable populations in Canada. The map is designed to be a resource that informs and connects the growing community of financial literacy practitioners regionally and nationally. We need your help to bring the map alive! To add your organization’s financial literacy programs, services or initiatives to the map, complete the submission form on the theccfl.ca. Collaboratives and networks with financial literacy in their mandate are also invited to complete the submission form and describe their financial literacy initiatives. The map will be searchable by city, province, type of financial literacy programs and services and the specific population they serve. It will be a valuable resource for anyone interested or engaged in financial literacy in Canada to support networking and information sharing. Newcomers overcome many challenges as they settle into a new life in Canada. Alongside activities such as learning a new language and finding employment is the need to understand the Canadian financial system and the basics of money management in their new context. According to a 2009 Statistics Canada survey, compared to people who are born in Canada or are long-time residents of the country, newcomers are less likely to have access to basic financial services and are less confident in making financial decisions about products and services in Canada. 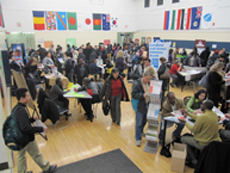 In 2012, the CCFL launched Phase Two of the Financial Literacy for Newcomers Project (FLNP) with support from Citizenship and Immigration Canada. The FLNP will develop new financial literacy tools and capacity in immigrant-serving organizations to continue to integrate financial literacy into their core services. The CCFL is joined by six project partners from coast to coast including SUCCESS Settlement Services in Vancouver, Momentum in Calgary, Woodgreen Community Services in Toronto, COSTI Immigrant Services in North York, the YWCA in Halifax and Axis Career Services Association for New Canadians in St. John’s. Over the next year these partners will work with us to evaluate the effectiveness of financial literacy for newcomers in a group workshop format, as well as support the development of a one-on-one needs assessment tool. All materials, along with a collection of resources relevant for newcomer financial literacy, will be made widely available on the CCFL website, including the CCFL financial literacy curriculum workshop activity sheets, which will be available for download in nine languages under Resources. 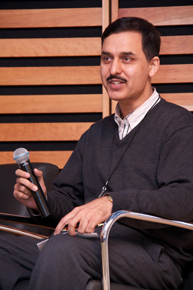 In the fall of 2011, SEDI initiated the Opportunities Account for Youth in Care project in collaboration with the Children’s Aid Society of Toronto (CAST) and the Catholic Children’s Aid Society (CCAS) to increase financial literacy and encourage saving and asset building for youth in care. Through the project, CAS workers and foster parents were trained to deliver financial literacy education and intend to reach up to 300 youth in care. Additionally, 20 youth were provided with the opportunity to participate in a matched savings program where, along with financial literacy training and supports from their workers, the youths’ savings were matched at a rate of 3:1. Over the past six months, these 20 youth have collectively saved over $5000 that will be matched by SEDI to use for rent, tuition or supports to learning and employment. Thanks to funding from the Royal Bank Foundation, the CCFL has been able to offer dedicated capacity-building supports to organizations working with newcomers and Aboriginal Peoples, nationwide from 2009 to 2012. Financial Literacy Facilitator Training workshops were delivered to staff and volunteers from community-based organizations primarily serving newcomers or Aboriginal Peoples in 10 communities across Canada. The program goal is to build the capacity of 75 community organizations to offer financial literacy supports and thereby reach 1,500 newcomers and Aboriginal Peoples. 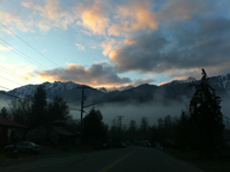 Whistler Pemberton and Northern First Nations Literacy Coalition participated in a CCFL Financial Literacy Facilitator Training in Pemberton, BC in the fall of 2011. The coalition was new to financial literacy and the facilitators were excited to share the curriculum and materials with their clients. In December 2011, Option consommateurs, a Montreal based nonprofit whose mission is to promote and defend consumers rights, launched Achète-toi une vie, a multimedia educational kit designed to assist youth ages 14 to 21 in making financial decisions. In addition to going over the essentials of budgeting, credit and debt, the kit helps youth identify and discover their needs and wants so they can use this awareness to make decisions that support their financial goals and lives. The kit includes an information guide, exercises, educational videos and messages directly from youth. The kit is available (in French only) online at www.achetetoiunevie.com. You can also request a printed copy and DVD by contacting Option consommateurs directly through www.option-consommateurs.org. Achète-toi une vie is a project that was funded by the TD Financial Literacy Grant Fund. Since the Fund’s inception in 2010, more than $4.1 million has been awarded to 55 community organizations across Canada. The objective of the Fund is to increase access to financial literacy supports for low income and otherwise economically disadvantaged persons and groups living in Canada while fostering the development of the financial literacy field. Across Canada, there are a number of multi-stakeholder collaborations and initiatives emerging at regional and provincial levels to work together to increase financial inclusion. In this edition of the CCFL newsletter we invited Heather Morrison, Chair of the Alberta Asset Building Collaborative (AB ABC), to share some of the recent financial literacy activities of the Edmonton Chapter. The Empower U: Building Confident Futures Committee was formed in February of 2010 to build a framework for funding multiple non-profit organizations. The objective of the initiative is to combine Financial Literacy Programs with a matched savings component to facilitate long term financial skill development and assist in the acquiring and maintaining of assets which will lead to the financial stability and independence of its participants. There is a collaborative funding program delivery and evaluation framework for all the partner agencies, utilizing corporate, private and public sector partnerships. The Financial Information Fairs are another activity that takes place in Edmonton on an annual basis. They are resource fairs with a financial twist. Collaborative members, community members and businesses set up booths to chat with anywhere from 100 to 400 people annually. 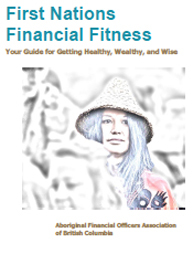 AFOA BC has created a handbook and series of video clips on “First Nations Financial Fitness” which are available for download. 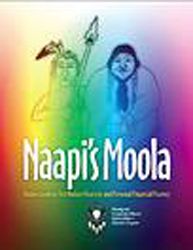 AFOA Alberta created a personal financial guide for community members called “Naapi’s Moolah”. The guide uses the narrative of Naapi and Kookum to guide readers through basics of personal finance, including credit, budgeting, investments and saving. The tool is ideal for young adults to elders, particularly those who do not have a finance background. It is available for order. The National Aboriginal Circle Against Family Violence (NACAFV) is a non-profit that, among other services, provides resources and training supports for those working in the areas of Aboriginal family violence, prevention, intervention and longer-term care. The organization has developed a workbook for residents of Aboriginal women’s shelters. Click here to learn more. Aboriginal Business Development Services (ABDS) is a non-profit program run by The Business Link in Alberta. The program is dedicated to supporting Aboriginal entrepreneurship across Alberta, and has been incorporating financial literacy supports in its services. For more information on the ABDS and their services, click here.